Basically, we named our child after a prolific weed. Oops, parent fail. Funny, but I don’t recall my Christian baby name book informing me about this one! I’m certain the definition in the book was rich with meaning and more profound. Names are a funny thing, aren’t they? They’re given to us at birth and we have no say in the deal. But in many ways, our name shapes us, defines us and gives us worth. Growing up, I always wanted to be named, Katie. Anytime we played school or house with the neighborhood kids, I wanted to be called Katie. I thought it was the most awesome name in the world. Names we’ve internalized and buried so deep sometimes we’re even unaware of the effect they have on us. In the Gospel of Luke, we see Jesus interact with a woman who had been given a name by the people in her community. Please take a moment to read the entire interaction from Luke 7:36-50. While this Pharisee and perhaps the entire community had named this woman “a sinner”, Jesus saw her differently. He saw the woman God created her to be. He saw potential, purpose, and He provided an opportunity for her to experience a fresh start. It’s so important for us to allow the right Person to name us. If we allow other people or even our past to name us, it will adversely affect everything – our relationships, our job, our self-worth, sometimes even our health. These false names will steal our confidence, destroy our self-worth, hinder our ability to make decisions and keep us from moving forward in fulfilling the life God created us to live. As a young mom, the name that continually haunted me was, “I’m not good enough”. And the more I allowed not good enough to define me, the more I tried to be good enough– to prove to myself that the name I believed was wrong. As a result, I wore myself out to try to be enough. The harder I worked, I still felt like I was constantly falling short – not really from the expectations of others, but from expectations I put on myself. Because of a name I had given myself. Not good enough affected my confidence and led me to be insecure. It caused me to avoid situations when I felt it was too risky – too vulnerable and I may fail. I worked like crazy trying to be the person that I thought everyone wanted me to be and I was horrible at it. What name do you have that you’ve yet to break free from? Perhaps it’s a name someone called you or perhaps you gave it to yourself? Maybe it’s a label someone used to define you? 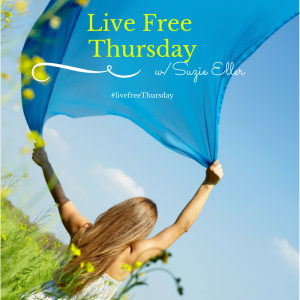 Maybe you’re laboring under the guilt or shame of your past and you can’t seem to break free from it? The way God sees you is bigger than your past. His opinion of you is more valuable than the opinion of others. My hope is that you will come to see – through God’s Word – a God-centered view of YOU! What name have you given yourself that you need to get rid of? How has this false “name” has impacted you and shaped your identity? What step can you take this week to embrace your identity as a child of God? Leprosy is a horrible disease that affects the skin destroys the nerve endings, making its victim unable to feel anything. Sores break out on the skin and when they begin to ulcerate, the smell is horrible. Those diagnosed with leprosy were declared “unclean” in the Jewish culture, and because leprosy was contagious, those who contracted it were forbidden to live in the community. They were considered outcasts and even those who touched them would also be considered unclean. In this Bible story, Luke tells us that this man was covered in leprosy. Imagine the disfigurement. Sense the stench coming from his body. Feel the fear that gripped people as they saw this man enter the community, their community – a community filled with their children and the people they loved. And this man had the audacity to enter their midst, with his body decaying and oozing leprosy in their town. What would you do? How would you treat this man? Honestly, I would grab my kids and run. Sadly, I don’t think I would even try to be kind or compassionate; I’d be more concerned about staying away from him. Most likely this man was used to rude treatment, insensitive comments, fearful gazes and people shrinking back in his presence. He had lived as an outcast, rejected by society, a disgrace to his family, and shunned in the Jewish culture. Notice that he didn’t say, “If you are able…” This man knew rejection. He wore the scars of shame. He lived in the shadows as an outcast—unloved, unwanted, unaccepted and avoided by people. His concern wasn’t in Christ’s ability. It was Jesus’ willingness to help him. Would Jesus help someone like me? Could Jesus love – or even kinda care about – someone like me? And Jesus responds by touching him. What a tender moment Luke captures! Jesus touched the man before he cleansed him. He drew near to this man while he was still unclean, still an outcast, still unacceptable, still avoided by society. Jesus identifies with him by becoming unclean himself before He heals him. It is in our uncleanliness, in our pain, in our ugliness that Jesus extends His love to cleanse and heal our lives. In our awkwardness and feeling alienated from God, Jesus reaches out to us and does a beautiful thing. He becomes sin for us, sharing our pain, taking the burden of our shame upon Himself. Sin, like leprosy, isolates us, cloaking us in shame. Even more importantly, it isolates us from God. It’s highly contagious – running unrestrained and rampant in our world like chicken pox in an elementary school. Shame tells us that what we’ve done is too bad to be forgiven, that our mistakes are irreparable and our failures are unrecoverable. Shame whispers to us that our lives are beyond repair. But to the contrary, Jesus is contagiously clean. Anything He touches is restored. Anything in His presence is transformed, made holy, righteous and whole. In His light, the darkness of shame begins to recede, making way for truth. Pure, hope-full, grace-filled truth! Our failures become opportunities for growth, our mistakes are forgiven, leaving us to experience His abundant grace generously, and undeservedly poured out to us. You don’t have to shrink back in fear; you no longer have to live isolated, bound by sin and cloaked in shame. You don’t have to doubt God’s willingness to cleanse you. In Christ, you are clean. What fear, failure or feeling of shame keeps you from believing the truth that, in Christ, you are clean?